‘Bold and the Beautiful’ Spoilers: Taylor’s Agony Fuels Brooke Revenge? 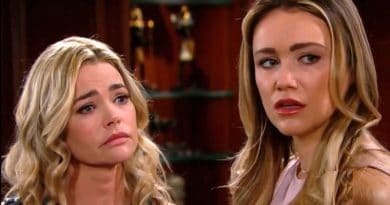 Bold and the Beautiful spoilers suggest that since Brooke Logan (Katherine Kelly Lang) learned Taylor Hayes‘ (Hunter Tylo) secret, she’s may dangle it in front of the distraught woman. Taylor begged for mercy on Tuesday’s B&B but Brooke showed no compassion towards her arch-enemy. Is Brooke so tainted against her that she can’t stop and show concern for someone in pain? Brooke becomes Taylor’s biggest worry now that she knows Taylor shot Bill Spencer (Don Diamont). The past that these two women share suggests Brooke wants to see Taylor in handcuffs. Their shared hatred is good enough reason for Taylor to believe Brooke Logan will eventually turn her into the police. Brooke is now armed with this knowledge. So it looks like she could be driving the bus on Taylor’s life for a while, suggests Bold and the Beautiful spoilers. 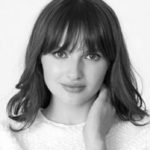 Brooke sees Taylor as a threat to Hope Logan’s (Annika Noelle) happiness, according to Bold and the Beautiful spoilers. If Taylor had her way, then Liam Spencer (Scott Clifton) would be Steffy Forrester’s (Jacqueline MacInnes Wood) husband. The best way to deal with this could be to run Taylor off. Brooke might use the shooting to her advantage. She could dangle this as a threat over her. With all this new power, Brooke might request that she leave Los Angeles. This request is bound to devastate Taylor, who sees Steffy and baby Kelly as part of her healing process. It sounds like the only thing holding Taylor together is her love for Steffy and Kelly. After the scene at Steffy’s house with Taylor on her knees begging, it’s easy to see Brooke was irritated by Taylor. Brooke Logan showed little sympathy for her nemesis. If she insists Taylor blow out of town by threatening to turn her in for shooting Bill, Taylor won’t have much choice. Bold and the Beautiful spoilers hint that Taylor is petrified as the week goes on. She worries Brooke will turn her in. While Brooke is pretty good at keeping things from Ridge Forrester (Thorsten Kaye), if she does threaten Taylor, he’ll find out. 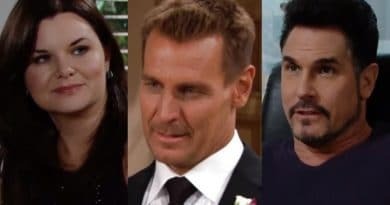 Bold and the Beautiful spoilers indicate Taylor bands together with Ridge and Steffy this week. Spoilers imply that Ridge and Steffy promise to protect Taylor. If Brooke taunts Taylor by dangling the shooting over her head, that may set Ridge off. According to Soap Central, this week, Ridge and Brooke argue over who is more dangerous – Bill Spencer or Taylor Hayes. B&B Spoilers – Brooke Pushes Taylor Out Away? Soon the couple may embark on a battle over Taylor’s role in Bill’s shooting. While Brooke has pulled some rather underhanded ploys in the past, is she capable of this? Certainly, it would upset Ridge if he catches his wife tormenting Taylor to make her leave town. ‘Bold and the Beautiful’ Spoilers: Thorne Jealous Over Katie and Bill – Leaves LA?